 CAPFI, an IT company specializing in digital transformation, the design of IR infrastructures and consultancy for the finance, banking and insurance sector. We believe that businesses should be a place of self-fulfilment and shared enjoyment. CAPFI is a unique business model that brings together 5 poles of IT excellence around a common vision: together, let's create with boldness a better future for the world. The CAPFI group evaluated by its employees, clients, and job applicants! Every year we offer our employees, clients and applicants the opportunity to participate in the HappyAtWork©, HappyClients©, and HappyCandidates© surveys to assess their level of satisfaction. We strive to make businesses a fun place for everyone and to achieve the highest standard of excellence! The sharing of knowledge and the development of skills through innovation form part of our DNA. At CAPFI we give each person the opportunity to make his or her own success. Beyond our expertise, this is where we show you everything that keeps us moving forward each day. You can find news on consulting, IT management and security, technological innovations, digital logistics, IT events, and other exclusive articles on our blog. Every year we offer our employees, customers and applicants the opportunity to participate in the HappyAtWork©, HappyClients©, and HappyCandidates© surveys to assess their level of satisfaction. Are you passionate about IT, new technologies, digital transformation, and/or market-risk analysis? Exciting and fulfilling projects await you. Every day when CAPFI consultants go to work, they plant a tree! Bringing meaning to our everyday life and helping to protect the environment by reviving whole ecosystems: this is CAPFI’s CSR commitment, as a partner of the 1 Jour, 1 Homme, 1 Arbre (1 day, 1 man, 1 tree) charity since 2011.